For an event to be a success, the first thing you have to do is choose a destination that’s distinctive and original to pique your attendees’ curiosity and make their stay memorable. Did you know that in 2016, Québec City was named the number 1 destination in Canada by readers of Travel&Leisure ? Québec City’s European charm never fails to impress, but it’s the blend of history and modernity, the beauty and wealth of its natural surroundings, and the originality of its culture and overflowing energy that make it such a memorable place for visitors. The city’s rich francophone culture, unlike any other in North America, explains why Québec is on the prestigious list of UNESCO World Heritage Cities. And this culture is alive and well! Québec City was named Culture City of the Year in the Leading Culture Destinations awards on September 30, 2016, in London. But their francophone culture doesn’t stop Quebecers from speaking other languages! In fact I mentioned this in a recent discussion with John Torrès of the American Farm Bureau Federation, and he was pleasantly surprised to see how easy it is to communicate—and be understood—in English in Québec City—much easier than in Paris! Of course, a destination’s distinctiveness isn’t the only important factor. It also has to be accessible, easy to get around in, and serviced by regular direct flights. Over the past ten years, investments in Jean-Lesage International Airport (YQB) have made Québec City a lot more accessible. In addition to the major work conducted as part of the city’s 400th anniversary in 2008, development projects of $225 million are currently under way to further expand the airport and set up a U.S. customs preclearance center by 2018. Québec City’s airport offers daily direct flights to a number of major North American cities, including New York (Newark and JFK), Chicago, Philadelphia, Toronto, Ottawa, and of course, Montréal. Distinction and accessibility generally come at a premium. But how much does it cost to hold an event at an outstanding destination like Québec City? For organizers and attendees alike—especially those from the United States and Europe—the Canadian dollar’s current value is a big advantage. 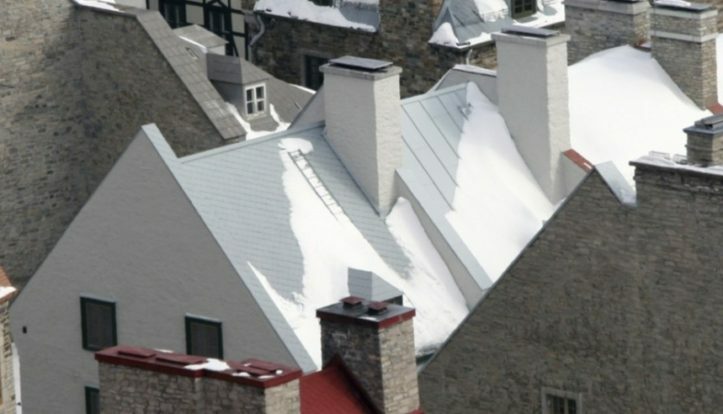 In Québec City, where the cost of living is reasonable, this advantage also guarantees you high quality services (accommodations, food, drink, etc.) hard to find anywhere else for the same price. Hôtel Château Laurier Québec is a great example of this. This newly renovated four-star hotel boasts multiple room categories designed to meet the needs and budgets of every conference-goer. In addition to offering the business services and amenities of a hotel with 1,580 m2 (17,000 sq. ft.) of meeting rooms, its strategic location also cuts travel time and costs. Since Hôtel Château Laurier is only 400 metres from both the ramparts of Old Québec and Québec City Convention Centre, it’s easy to get virtually everywhere on foot. On top of giving you direct access to the most beautiful patios on Grande Allée, the hotel has partnerships with over 40 of the most popular locations and shops in Québec City, giving hotel guests big discounts on admission prices and shopping. Not to mention all the extras that come with staying at Hôtel Château Laurier Québec: the saltwater pool, year-round outdoor spas, electronic wine bars in the lobby and on two floors, and, my personal favourite, the four-season garden, a beautiful and inexpensive space where you can continue your discussions. When all is said and done, all these advantages will help your members and clients reduce their costs without sacrificing the quality of their experience in such a remarkable destination! Suzanne Voisine’s colleagues describe her as a creative, on-trend person who’s always available and full of energy. But good luck catching up with her when she’s on her bike, hiking, or running around the Plains of Abraham. Suzanne says she’s particularly proud to work at Hôtel Château Laurier Québec because it provides not only outstanding accommodations, but unparalleled customer service to boot. Suzanne’s office at Hôtel Château Laurier Québec is in the heart of the action, just steps from the fortifications between National Battlefields Park and Grande Allée. So feel free to drop by and see her if you would like more information on the topics discussed in this newsletter or just to share your questions and comments. She loves to hear from you!